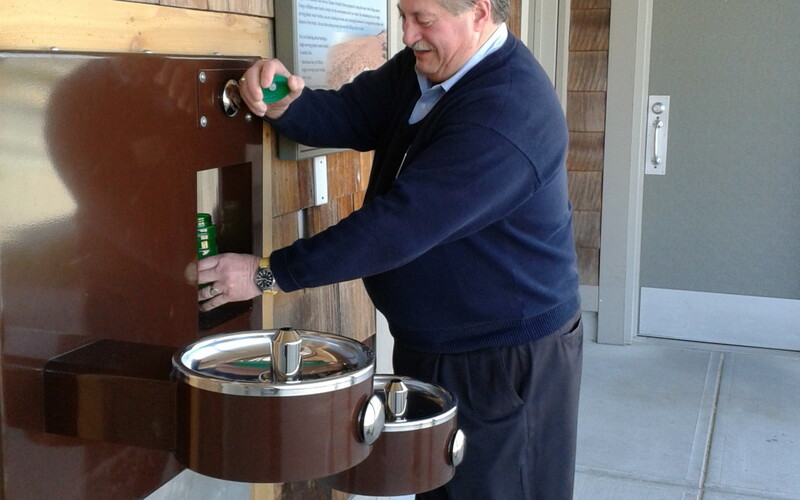 In partnership with the Friends of Cape Cod National Seashore, a refillable water filling station has been installed outside adjacent to the restrooms at Salt Pond Visitor Center. Located just off of Route 6 in Eastham this is a busy center that welcomes millions of visitors each year. Our hope is this filling station will reduce the use of one-time plastic water bottles and encourage visitors to stop in and refill their own water bottles.